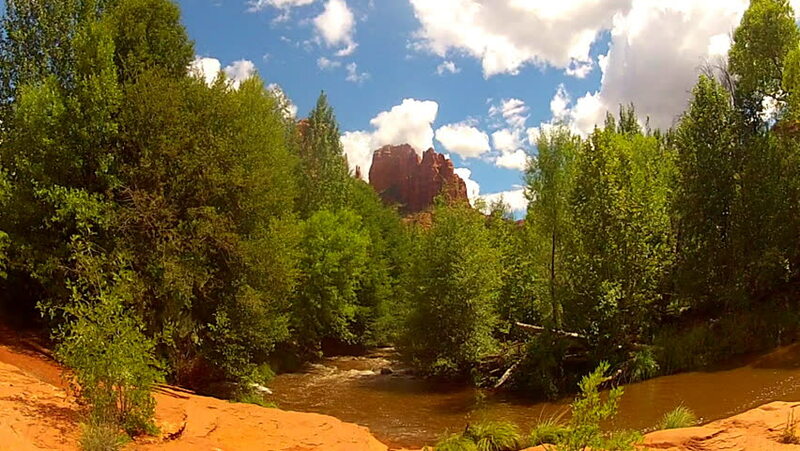 Shot of Cathedral Rock with trees and Oak Creek in Sedona, Arizona. Vibrant iron ore rich rock and soil provides a contrast to pine trees under famous rock structure. 4k00:19Moving over a red colored river as it snakes through a forest with mountains in the background.